Ever since my coma due to severe gram-negative bacterial meningo-encephalitis in 2008, I have come to see that all physical, mental, and emotional healing benefits first and foremost from a basis in spiritual healing. By spiritual, I mean an awareness that we are purposefully and meaningfully connected with others, all of life, and the universe at large, including its divine creative source. We are here to learn and teach, and the challenges in life (including illness and injury) provide the stepping stones for growth in this “soul school.” Our growth depends on how we respond to those challenges, and progress results from recovering our sense of connection with the universe and the higher purpose of our existence. Ultimately, such powerful healing emerges from love of self, and others, ideally without any attached conditions. I recently had the opportunity to support two wonderful new books on the human capacity to heal, and to write an article that addressed my thoughts on healing in modern medicine. All three of these efforts provided elucidation of the reality of profound healing through the application of our deeply spiritual nature. While some in medicine might debate the role our spirituality plays in the process of healing, I believe that awakening to such concepts (independently of any orthodox religious framework, if necessary) can enable quite remarkable enhancement in achieving overall health. Dr. Anna Yusim asked me to write a foreword to her new book Fulfilled: How the Science of Spirituality Can Help You Live a Happier, More Meaningful Life (New York: Hachette Book Group, 2017). Her wonderful book is filled with clinical examples from her busy New York City psychiatric practice. She makes a very powerful case for the value of spiritual awareness in the process of healing her patients, and leading them into far more productive and joyful lives through her psychospiritual approach. I have also endorsed Dr. Nauman Naeem’s new book Healing from the Inside Out: Overcome Chronic Disease and Radically Change Your Life (Forres, Scotland, UK: Findhorn Press, 2017), releasing on September 12, 2017. As a critical care physician, his career has involved the care of many very ill medical patients. 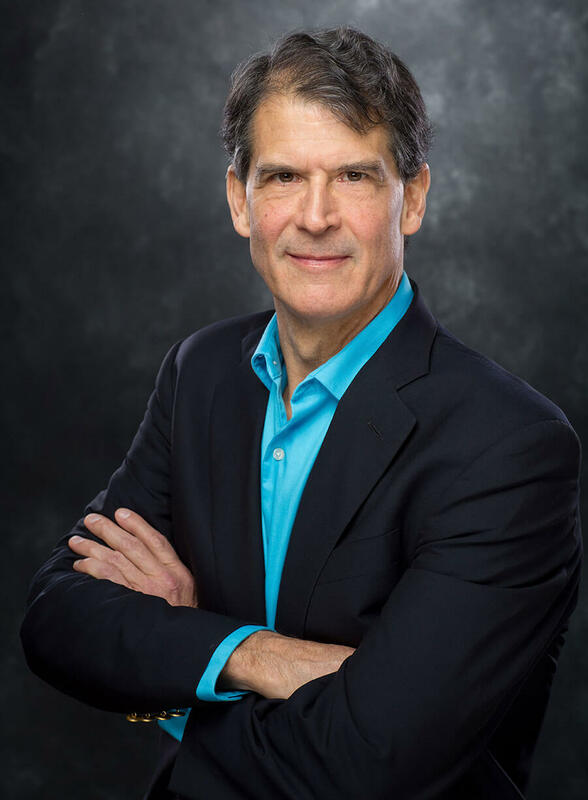 His book reveals a profound sense of insight into the details of his patients’ lives, and an analysis and understanding of very deep interconnections that allow for refreshing insights as to the potential for spiritual healing. His comprehension is so deep that natural consequences of his narration include the general benefits of finding our very purpose in life as well as how individual healing can make the world a far better place for others, too. His depth of insight is rarely encountered in a modern medical book, showing us how we can all influence our own return to wholeness, thus healing. Finally, my article on the extraordinary and miraculous healings often found in the near-death experience literature concludes that profound spiritual insights and experiences are often associated with healing that far exceeds the expectations of modern western medicine. Again, such spiritual healing dominates in the emergence of any associated physical, mental and emotional healing. Although identification of the exact mechanisms involved is still incomplete, plenty of evidence exists to support the more robust study of these miraculous cases. 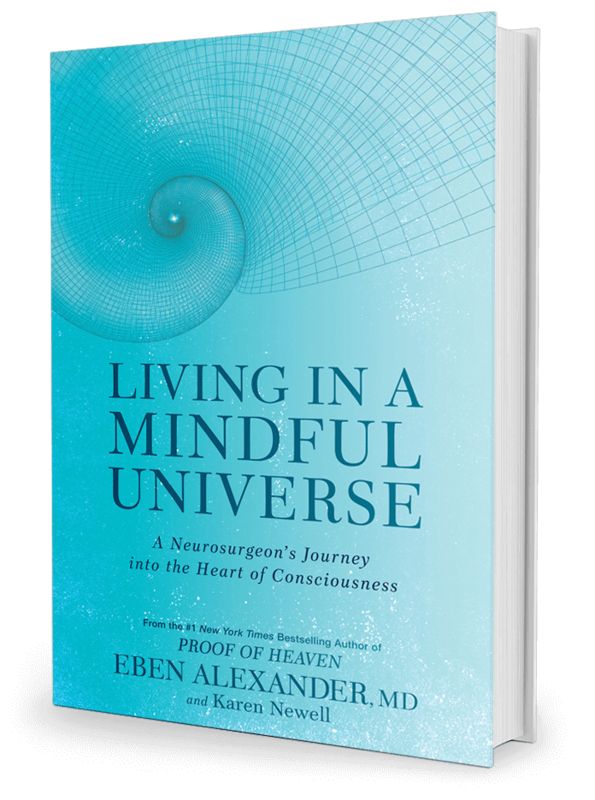 We will cover this topic in much more detail in our upcoming book, Living in a Mindful Universe: A Neurosurgeon’s Journey into the Heart of Consciousness (New York: Rodale), due out in North America and the United Kingdom on October 17, 2017. Feel free to preorder it here. We will also discuss healing as part of two upcoming experiential weekend retreats. Clinical psychologist and psychotherapist James Carpenter has written an interesting article in Aeon addressing the scourge of the misuse of antipsychotic drugs in developed countries. In so doing, he opens the conversation to points I often make to medical audiences about the fundamental role of spiritual healing, and of deeper understanding of spiritual disease, in healing of all types (physical, mental and emotional). Dr. Carpenter points out, as have others before him, that the successes of psychotherapy over the last few decades have been buried under the current paradigm of defaulting to antipsychotic drugs without addressing the fundamental mental issues. Although these drugs can be very useful in the initial management of acute psychosis (when combined with appropriate psychotherapy), they cause great difficulties when used over longer periods of time without any corresponding psychotherapy. At the heart of the matter is the conventional tendency to view the hallucinations of psychosis as a lifelong brain disorder that can only be managed through long-term antipsychotic medications that have significant and problematic side effects. Yet there is no evidence that the brain in acute psychosis is different from the normal brain (unlike the situation in chronic psychosis which often has some underlying brain abnormality). He points out that in fact the most dangerous aspect of their use is in trying to wean people off of them after months to years of dependence on such medications. Given the classical psychotherapeutic approach that Dr. Carpenter and colleagues used decades ago, acute psychosis treated with good psychotherapy led to rapid and stable recovery (without the use of brain chemistry-altering antipsychotic drugs). This is contrary to the current script in managing acute psychosis that labels the brain as abnormal and the psychotic condition as lifelong and in need of ongoing chemical manipulation. Dr. Cameron observes that the people most afflicted by such acute psychotic illness “have generally been badly hurt, usually early in life, often by people upon whom they were vitally dependent.” Their disorder is fundamentally one of their soul’s primary spiritual journey, manifested through their personal story. Long-term drug treatment may not be necessary, or as effective, if the core causes of a “spiritual emergency” are addressed through therapy. And, an accurate assessment to distinguish between this and the long-term disease states requires our more careful observation of these potential underlying causes. Dr. Carpenter concludes that the powerful antipsychotic drugs change the brain and makes it profoundly more drug-dependent, which is what makes the use of drugs so dangerous over the longer term. But it is much easier to prescribe and adjust medications in trying to damp down the patient’s undesirable symptoms and behavior, than to actually delve into psychotherapy in an effort to address those early childhood traumas and the psychic repercussions from them that contribute to the symptoms of acute psychosis. Such effective psychotherapy is an endangered species, when one views the current dominant modes of training for psychotherapists, especially in the developed world, with its heavy-handed dependence on antipsychotic medications. Dr. Carpenter’s views are in alignment with those of the American Center for the Integration of Spiritually Transformative Experiences (ACISTE.org), a collection of certified mental health professionals and spiritual guidance counselors who train to address the psychiatric issues of those who have undergone profound spiritual awakenings. I believe that this discussion is just the tip of the iceberg, and that, in fact, all of Western medicine will morph into a more powerful and effective system for well-being (not just “healing”) when we come to acknowledge and develop the skills to address the spiritual aspects of all disease and take that much larger view of the patient as a spiritual being in an existence that is fundamentally spiritual. Some traditional healing practices could be integrated or affirmed, including the power of prayer and of energy, healing touch, etc. From my point of view, our greatest work as healers will emerge from this far more comprehensive worldview embracing our spiritual essence. Those who hunger for more in realizing this far grander view of our spiritual existence and how it opens profound channels of healing can join Karen Newell (co-founder of Sacred Acoustics) and me at one of our upcoming workshops listed on our Events page. We will cover territory such as harboring a much grander view of ourselves, of our universe, and of our possibilities for healing, that touches on the eternal and the infinite. This personal knowing is available to us all through direct experience by slipping beyond the veil that normally obscures the full view of our existence. I’ve done a lot of interviews since PROOF OF HEAVEN launched, and have been blessed to speak with everyone from local radio hosts to New York Times reporters, from Japanese documentarians to Oprah. After a while I noticed the same questions coming up again and again. Some were about my specific story; others were about what I had learned and how it could apply to others’ journeys. These questions were shared across all ages, countries, genders, and life experiences. No matter who we are or where we’re from, we all feel a pull to learn more about our purpose. So I’d like to take this opportunity to share my thoughts on some of these questions with you. They’re in no particular order, but they are all real questions that reporters, readers, and interviewers have asked me over the last two years. FAQ #1: Has your experience changed your fear of death? My experience showed me that death is not to be feared. It is not the end of our relationships with the others. It is not the end of our conscious awareness. At the same time, it also made me even more conscious of how precious life is. We exist to contribute the most good we can, and to experience all the joys, and learn the lessons we are to learn (and teach others) from the challenges and hardships in life. I know that the truth of my experience—that our consciousness (soul/spirit) is greater than our physical incarnation, and continues beyond death—holds for every living being.